Wow I have been promoting sunway for almost the entire week now. Well here comes another one. It was one of those days where I was craving for pasta and was saying a big no no to italianese. Don't like it there. 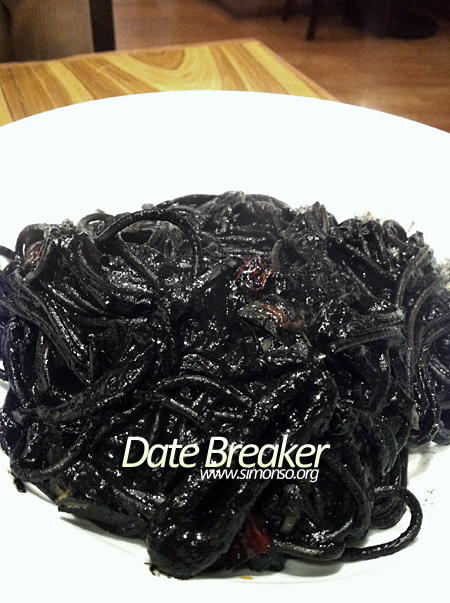 Accredited online colleges have culinary arts courses if you want to learn more about cooking pasta like this. 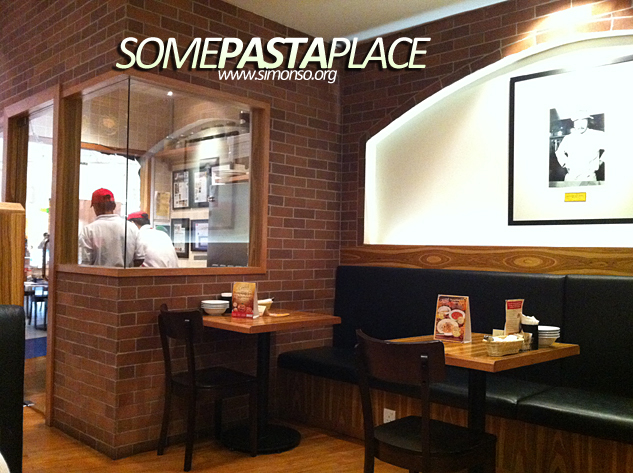 So me and gf decided to scout for a pasta shop in Pyramid... found it! They've got a very cozy environment inside and the outside don't look inviting at all. Looks can be deceiving eh? I like the high dividers between tables, makes us feel like we are the only one there. 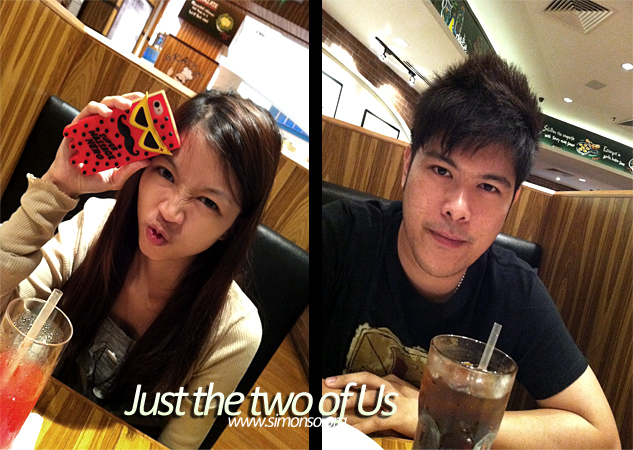 So while we wait for our pastas, we took a few photos sipping our drinks. 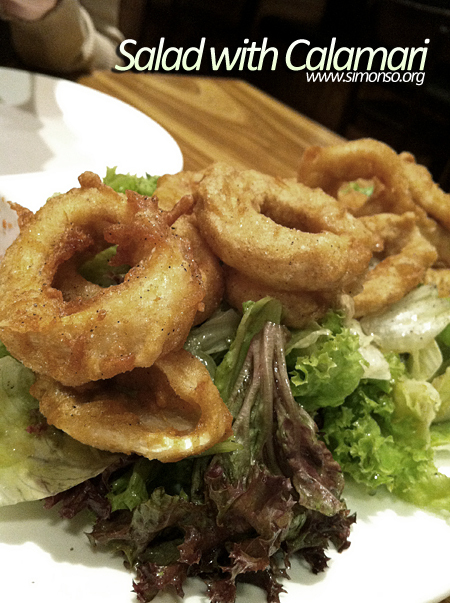 I was a little contemplating between the fried calamari and the salad, guess what they have both in one! The best thing that could ever happen! 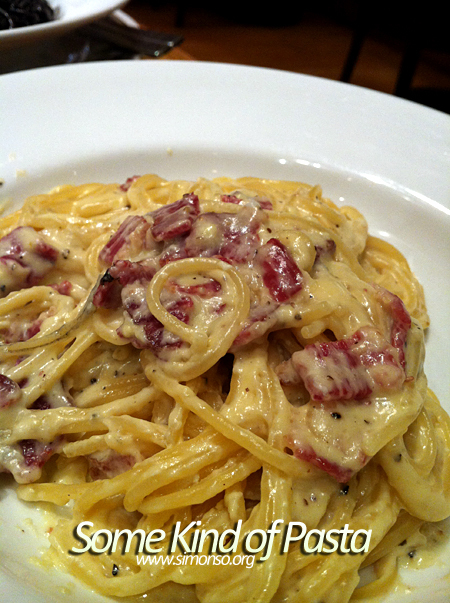 I wanted the originals, so I had carbonara. She missed understood the order and everything came in black. Oh boy... it tasted good but after a couple of bites it gets a little yucky. Anyway why I mention date breaker was, if there is somebody who likes and you don't.. have 2 bites of this and smile and laugh loudly. He / She will surely disappear unless crazy enough like me to have join in the fun. No i'm not gonna show you my picture. The decent us, the one with black tooths.. naaaa that's not coming out.